Congratulations to this amazing couple! I cannot say enough about how beautiful and perfect yesterday was for them. The weather, the location in the woods, all the wonderful people who made it happen, we were so lucky to be a part of it. Cannot wait to share more! It truly was a photographer's dream. Chantal & Logan are Engaged! What a perfect spring day! Adrienne & Jason's wedding day was such a beautiful way to start the wedding season. Not too hot, not too cold, absolutely amazing... not to mention all the love these two have for each other. We had so much fun photographing this day, cannot wait to share more! Mother's Day is May 13th! Grab her the perfect gift that will last forever! Schedule a portrait experience or gift certificate toward an experience or printed wall art. Mothers may have the hardest job as well as the best job on earth! The bond between mother and child is such a beautiful gift & I think it should definitely be celebrated! If you've already had a session with me and haven't made any wall art or album with your amazing photos, I would love to create something for you. You can also grab a gift certificate for the mother in your life or schedule a photo experience for you and your family. It's finally so beautiful outside, it's time to get out and enjoy it. I'm happy to travel to your favorite place or spend some time in the freshly painted studio with some fun props! Flowers are blooming and fresh air is coming through the windows. It's amazing how much our mood can change with some beautiful spring weather! I hope you all get out to enjoy it this week. Don't forget to tell your mother how grateful you are & how much you love her! Still a few 2018 Dates available! Happy Saturday! I am so excited to finally have a nice spring weekend! What an amazing difference it makes in mood. I hope all of your are enjoying your weekend as well, getting outside to enjoy some sunshine. I'm just thinking about warmer weather and how excited I am for another amazing wedding season, which for me starts in just under 2 weeks! I still have some 2018 dates available, so if you or someone you know is looking for a photographer, feel free to shoot me an email, call or text. I would love to chat all about your big day! Enjoy the rest of your weekend! I'm off to take the dog for a walk with my husband and soak up this gorgeous day. If you want to get outside and have more family time now that it's nice, I'd love to capture some memories for you! Contact me for more info! Happy Hump Day! I'm so excited that Spring is just around the corner! I'm already seeing blooms sprouting up and more critters stirring! Of course it doesn't feel that way today with all the snow our area is getting, BUT I'm hopeful that all of this winter weather will be over soon! 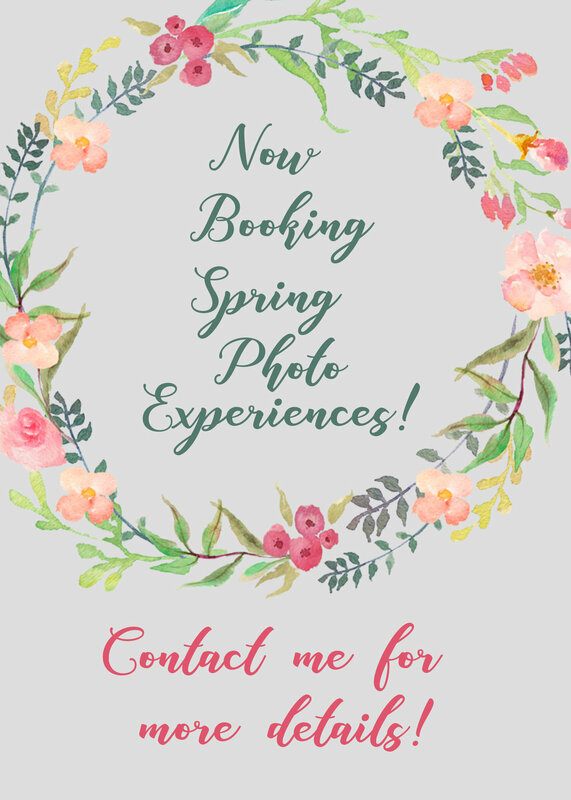 I'm excited to announce that I've started to book for spring photo experiences! Whether that's getting all dolled up in your Easter attire at the studio or running around outside when it gets nice, I'm ready! Feel free to contact me to get scheduled... it's never too early to reserve your spot on the calendar! I'm sad to share that I will not be doing any sessions with Blossom this year... she has moved on to the bunny spiritual world. She was a great rabbit and I'm so glad we got to have her as a model the past couple of years. She will be missed! 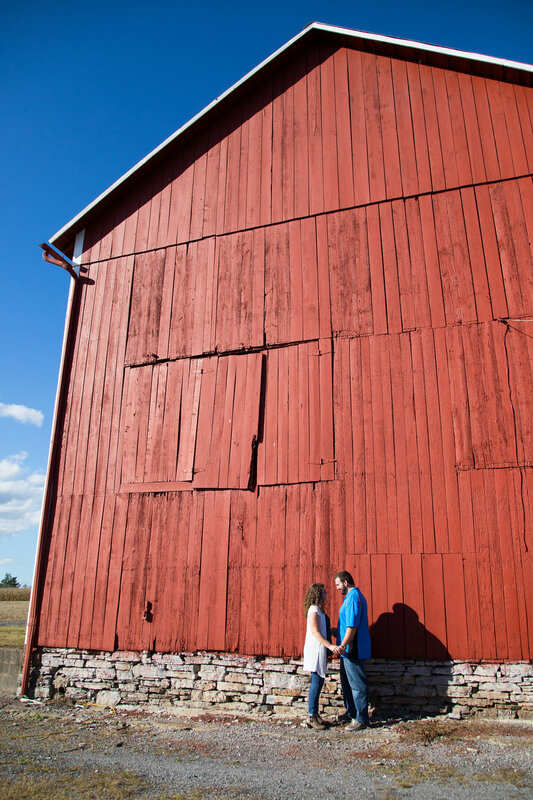 Check out the wedding & portrait gallery for more lovely photo experiences! I'm so thankful spring is right around the corner. Only 23 more days! It's never too early to schedule a session. How about a Mommy & Me session for Mother's Day when it gets warmer? Gift certificates are available for any kind of session too! I love the sweet moments while the kiddos are young. They only stay little for so long, so it always makes me really happy when I get to capture memories like this for families... especially for mommies who are so often grabbing the photos and rarely get to have time in front of the camera with the ones they love. If you have an idea for a Spring session, I would love to hear it. On location or in the studio, I always love to get creative. I can't wait to get outside though. Natural light and warmer temperatures make me so happy and I know, like a lot of you, I've been suffering from some real cabin fever. Can't wait to see all of you! Cozy Ideas for Chilly Days! The perfect reason to get out of the house and cure your cabin fever is a Winter Mini Session with the ones you love! I'm offering just 15-20 minute sessions so you won't have to stay outside too long! Session can be held at the location of your choice. It's such a beautiful time of year for portraits, schedule with me today! I would love to capture memories for you! Looking forward to the 2018 Wedding Season! Happy 2018! Loving my new website, I hope you are too! I can't wait for another amazing year. I am so grateful to have the opportunity to capture memories for so many wonderful people! Winter is always a little slower time for me and gives me the chance to set new goals and share more with all of you (at least that's the goal)! If you or someone you know just got engaged over the holidays, please feel free to hit that contact button. Cheers to another year filled with love & laughter! Here's a shot from Shelby & John's beautiful fall wedding this past October at Susquehanna State Park. Love the changing colors on the mountain as their back drop & how the trees frame their intimate moment. We were so lucky to have such a gorgeous day!